It is likely that you have hosted a dinner party at your home once and been completely overwhelmed. Running around before guests arrive, constantly filling drinks and passing hors d’oeuvres, getting dinner on the table and then cleaning up – it’s all exhausting. Sometimes for the host, hostessing isn’t all that much fun. At More Than Paper, we have some tips for entertaining to make it less stressful and more fun. So next time you can actually enjoy the company of your guests! Here are five ways to make hosting easier. 1. Plan a menu that’s easy to serve. This is not the time for risotto. 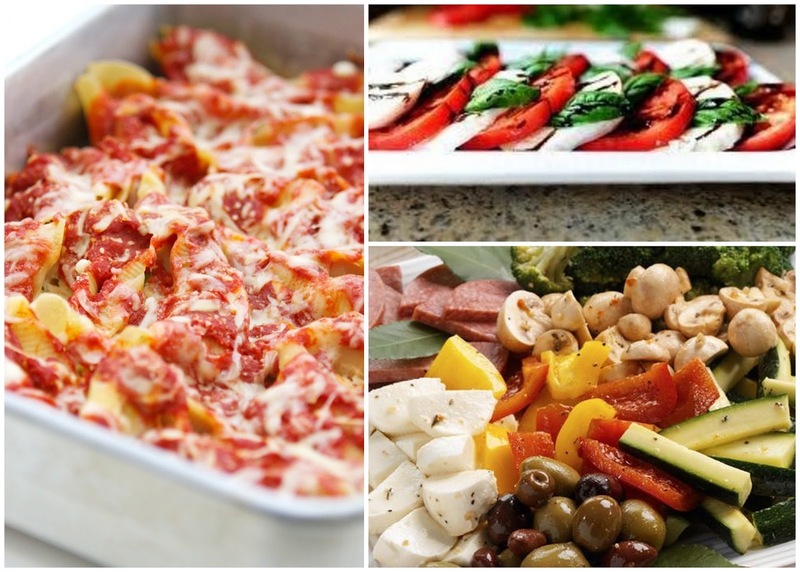 Choose a main dish recipe that you can put in the oven just as guests are arriving like stuffed shells. You’ll want to plan a cohesive menu that makes sense throughout each course. So if you are serving an Italian dish like stuffed shells, choose an appetizer like an antipasto platter or caprese salad. 2. Set up a bar! 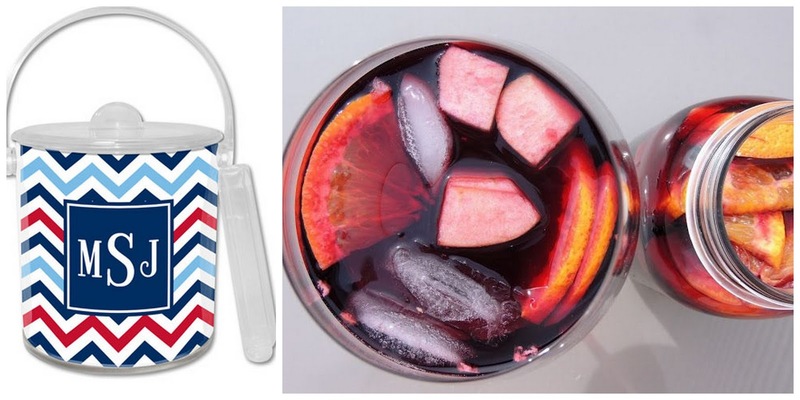 Have a pre-mixed cocktail like this easy red sangria recipe we found. Have beer and wine available in a bucket for guests to help themselves and this will eliminate your constant question: “Can I get you another drink?” We love our personalized ice buckets at More Than Paper and think they’re a great touch to any drink table. Don’t forget to include non-alcoholic beverages and something for kids if they’re invited. 3. Set the table the day before along with your flowers or centerpiece. This is one detail you don’t want to have to be doing while guests are at your home and can do in advance to save stress the day of the party. For an Italian style dinner party, try using fresh herbs like basil and rosemary in small planters in lieu of flowers. 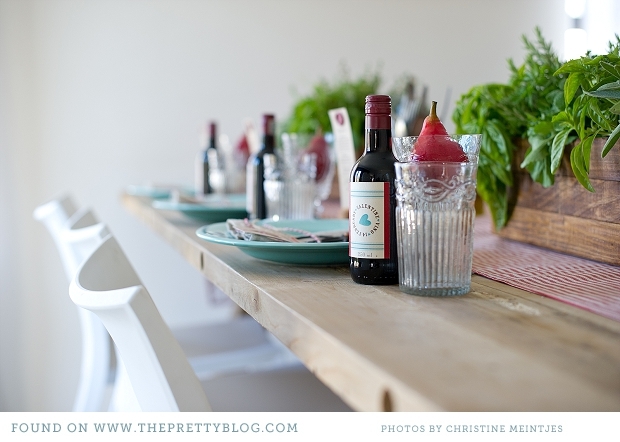 We love this Italian styled dinner party décor we found on The Pretty Blog. 4. Have serving accessories to help. 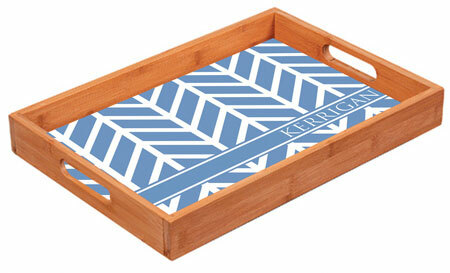 A good quality serving tray will help you carry things from the kitchen to the table and you’ll look cute while doing it! 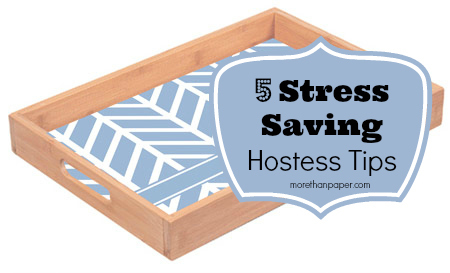 More Than Paper has dozens of bamboo and Lucite serving trays to try. See them all here. 5. Assign one guest the responsibility of dessert. Serving a three course meal to a group of people can be daunting, so when a guest asks if they can bring something you should take them up on their offer. 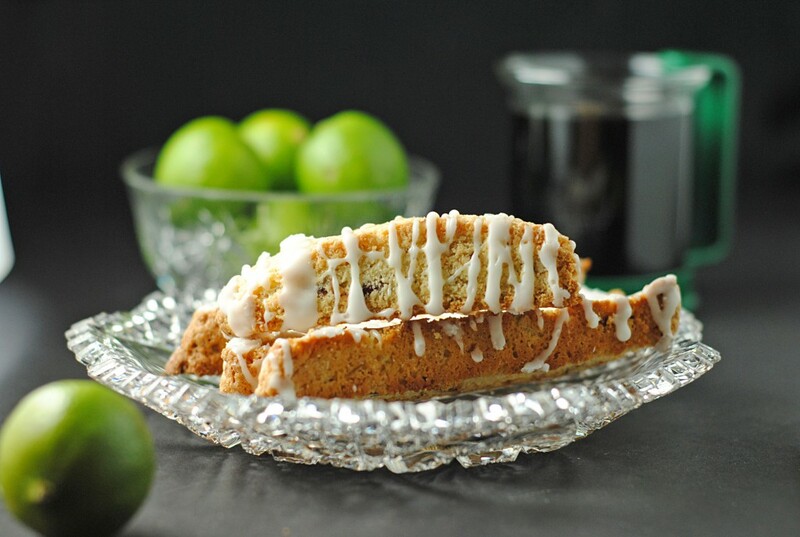 Suggest that they bring something easy for a dessert; like store bought biscotti or tiramisu from the grocery bakery! Hosting friends doesn’t have to be a chore. There’s no reason to stress out over recipes, menus, details, and drinks. With some advanced planning and these few tips, you should be able to host a dinner party that doesn’t overwhelm you. Hopefully it’s one you’ll actually enjoy!